GREENWOOD, Ind. 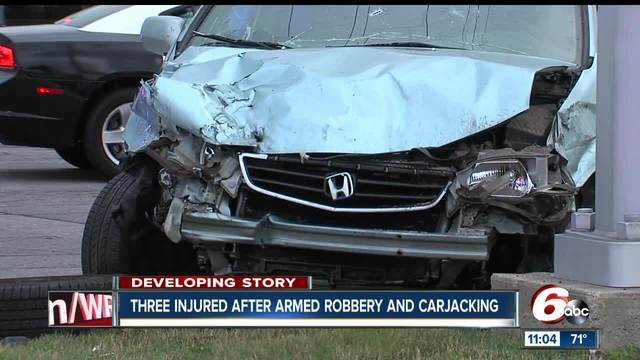 -- A man was arrested after police say he robbed a tobacco store, carjacked a van and led police on a chase before crashing at a busy Greenwood intersection Thursday evening. Greenwood Police say the incident started as an armed robbery at Discount Tobacco on Fry Road. Witnesses told police that the suspect entered the store with a gun and demanded money. He then injured the clerk before taking money from the cash register and carjacking a van outside of the store. The clerk was taken to the hospital to be treated for unknown injuries. That man was later identified as Jameson McCarthy, 26. Officers caught up with the stolen vehicle in a nearby neighborhood. McCarthy then led police on a chase down Fry Road, driving through several yards, hitting parked cars and almost hitting a house and a pedestrian, according to police. After leaving the subdivision, McCarthy then headed back up Fry Road before crashing into a pickup truck at the intersection of Fry Road and US 31. Police say McCarthy then climbed on top of the van and started yelling. 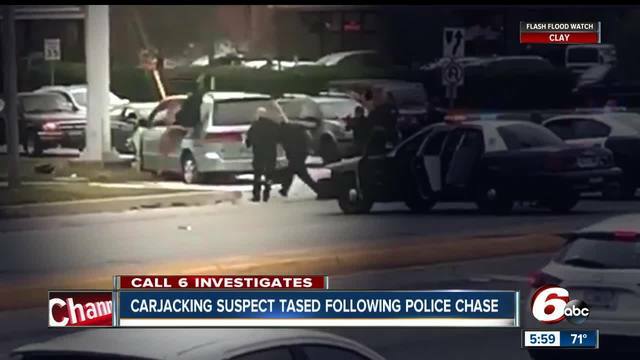 Police were able to use Taser to subdue him and take him into custody. 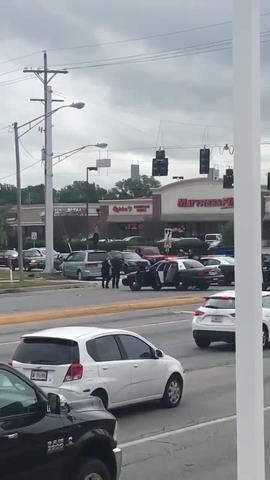 “Our officers had him at gunpoint and then tased him from the top of the vehicle,” said Kortney Borrello with the Greenwood Police Department. McCarthy was taken to the hospital to be checked out and was later taken to the Marion County Detention Center. Police say he did have a warrant out for his arrest. The driver of the pickup truck was also taken to a hospital to be treated for non-life threatening injuries. The incident remains under investigation by the Greenwood Police Department.